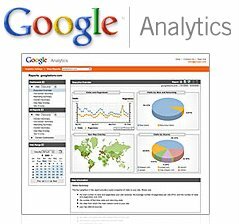 On Monday (11/14/05) Google launched a new service called “Google Analytics”. This service is aimed at website owners to help them find out how visitors to their site interact with it in all sorts of ways. This product was based off a service a company named “Urchin” was offering before being purchased by Google in March ’05. The service is free for all customers and includes additional tracking information if you are also part of Google’s Adword services. (limits free services to 5 million visitors per month) Google’s goal is to help inform website owners of what their customers are looking for and what they want. Many Fortune 500 companies have already been using Urchin’s services. Google states that they wants to improve Urchin’s services and make them available to the public at no cost. Google has already added in multiple languages, new report styles, and many more features that had not existed before. There are thousands of sites currently offering similar services, such as StatCounter, SiteMeter, AddFreeStats, OneStat, and many more, which makes it weird why they would want to launch such a service. Google has also recently been launching products that have already been created by others instead of creating unique and creative programs as had been doing for serveral years. Their last service was Google Reader, which is a web based RSS reading client, and Google Talk, which is a free chatting and VoIP client. Both these products already existed and Google still has not added any features into either one service that makes it any better than services their competitors offer. because google is so large they will soon cause all the other companies to close down. i hope the largely-loved google does not turn into a microsoft.